If it feels like we’ve been seeing the same character images from Captain America: Civil War over and over again, it’s because we pretty much have. Marvel has yet to get really inventive with their posters, and while that IMAX one was pretty cool, none of the rest have really been worthy of a place on your wall. Today, though, a series of international character posters have found their way online and they’re actually look quite good. Featuring the members of Earth’s Mightiest Heroes striking some new poses, they also put the spotlight on some very unique face-offs. Captain America and Iron Man staring each other down is to be expected, but Black Panther and The Falcon? Ant-Man and War Machine? 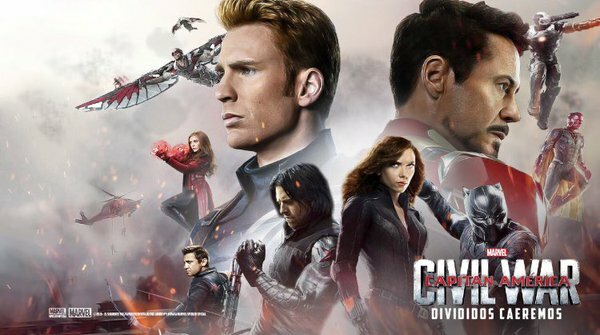 If those guys will actually be coming to blows, Captain America: Civil War might just be even more fun than it looks.